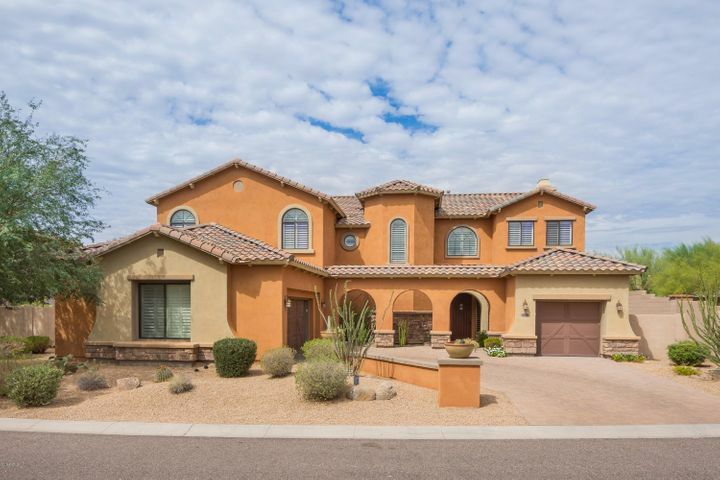 Windgate Ranch is a gorgeous gated community located at the base of the McDowell Mountains, that was built by builder Toll Brothers beginning in 2005. There are five different collections of approximately 700 homes, all semi-custom, and all built in the Hacienda style, many with courtyards and balconies. One such collection is the Desert Willow Collection which features one and two story homes, some with a master bedroom on the first level. The homes range from 2,529 square feet to 4,365 square feet. 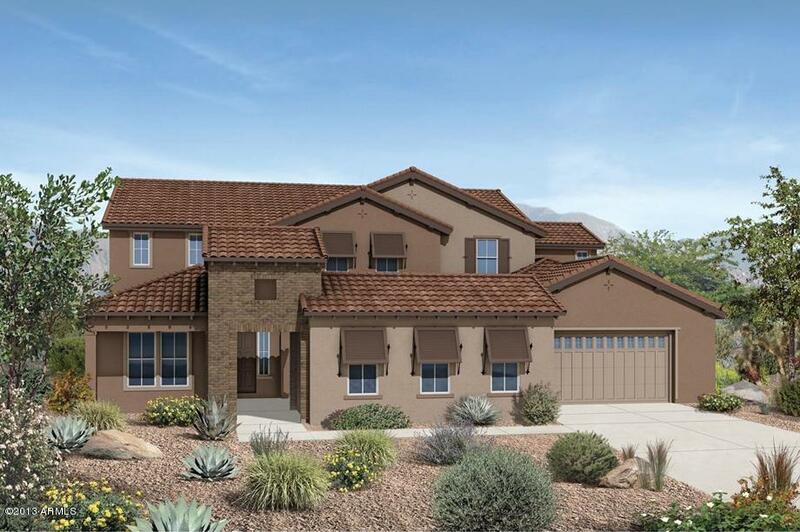 The Mesquite Collection showcases all single story homes, all with a minimum of 3 car garages. 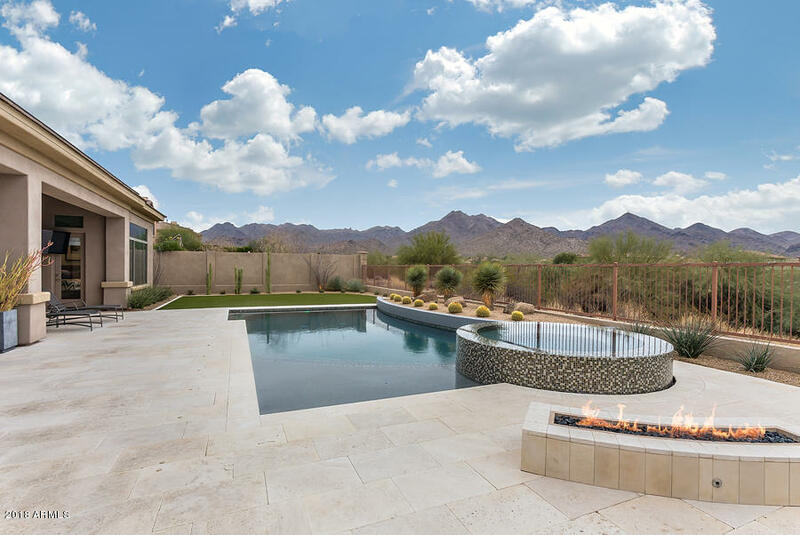 These homes range from 3,834 square feet to 5,169 square feet. The Ocotillo Collection has both one and two story homes, ranging from 2,253 square feet to 3,856 square feet. The Cassia Collection offers 7 different single-story home designs, with sizes from 2,264 square feet to 4,196 square feet. 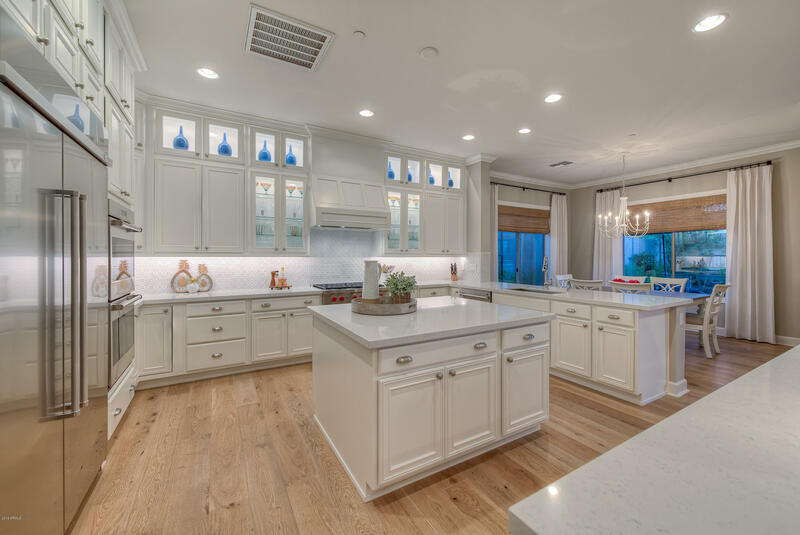 Finally, the Cottonwood Collection showcases both one and two story homes, ranging from 3,402 to 4,639 square feet. 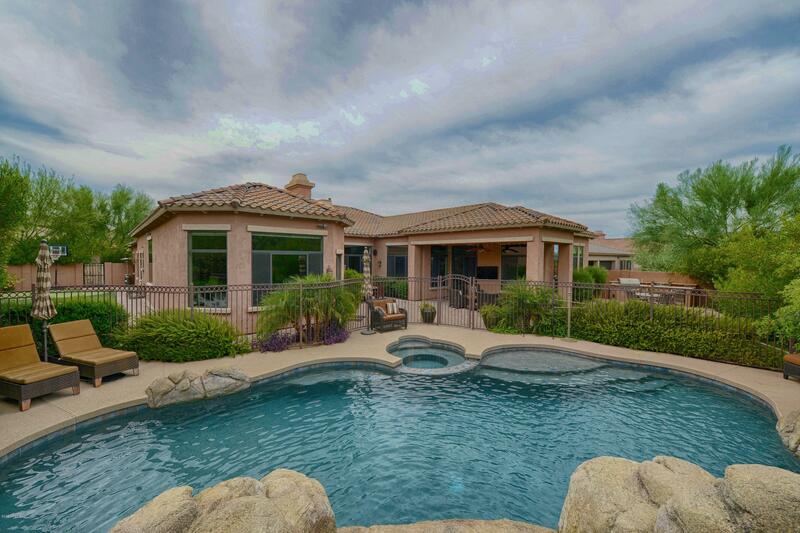 Windgate Ranch is known for its resort-style amenities, namely a 10,000 square foot clubhouse. There are three pools, tennis and basketball courts, and a teen center, with video games. 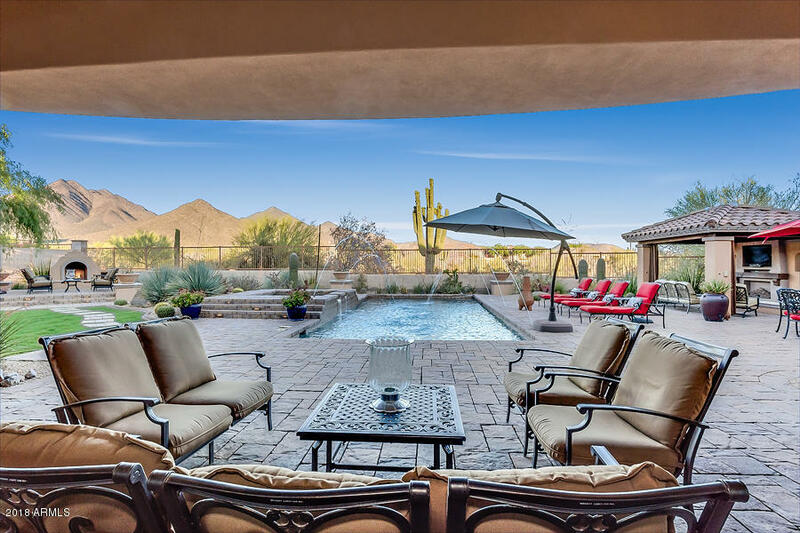 The Windgate Ranch Homeowner’s Association fee is $258 per month, and includes common area maintenance, as well as the clubhouse, pool, spa, security gate, playground and tennis court. Nearby McDowell Mountain Regional Park offers over 40-miles of hiking, mountain biking, and horseback riding trails. Golfers can try their luck at nearby Grayhawk Golf Club. The Scottsdale Center of the Arts is 20 minutes away. Nearby shopping includes DC Ranch Marketplace, Market Street, Canyon Ranch, as well as the Scottsdale Quarter and Kierland Commons. Schools: The Scottsdale School District serves family-friendly Windgate Ranch. Copper Ridge Elementary, Copper Ridge Middle School and Chaparral High School service this community, with Copper Ridge located less than a mile away. Also nearby is Notre Dame Preparatory High School, a private high school. 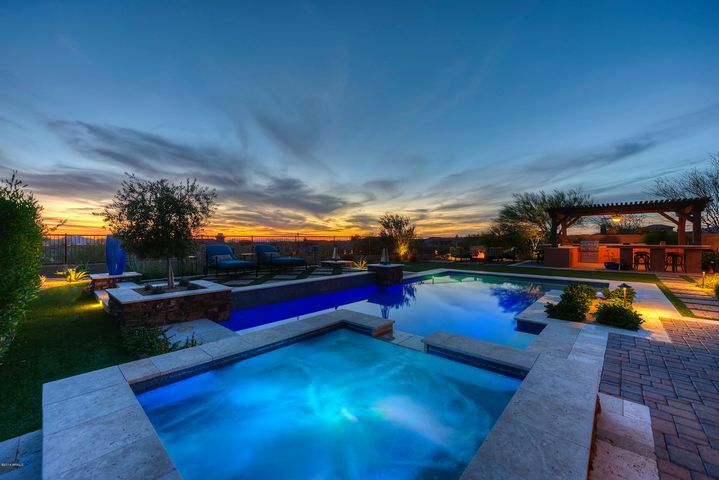 Windgate Ranch is approximately 25 miles away from Sky Harbor International Airport.